Do you wan to save time? Don't like traffic? Want to get through TSA with ease? 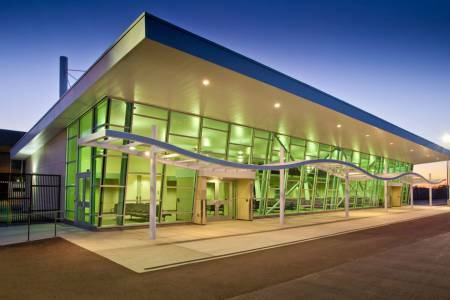 Check out the Stockton Metrolpolitan Airport, Northern California's pain-free way to fly. Here are the top 6 reasons to fly out of the Stockton Airport. Fly Non-Stop to Los Angeles (LAX) with United Airlines - Book Your Flight Today! Fly the Friendly Skies directly from Stockton to Los Angeles on United. Offering two daily, non-stop flights, seven days a week. Traveling to and from Northern California for business and pleasure has never been more convenient. Flights beginning August 16, 2019! Have you ever been stuck on traffic going over the Altamont Pass to the Oakland, San Jose or San Francisco airport? Even getting to Sacramento these days can be a challenge certain times of day. Avoid the unknowns of traffic congestion and enjoy the worry-free drive to Stockton. With convenient access from both Highway 99 and Interstate 5, you'll be hard pressed to find a more accessible airport. One of the great benefits of traveling from the Stockton Airport is how easy it is to get through baggage check and TSA screening. The airport is known for fast lines with many guests getting through it all in 5-10 minutes! We know that sounds crazy, but it's true. The Stockton Airport has always been known for affordable and walkable parking. The parking lot is just steps away (really, just steps) from the terminal and ticket counters. Currently, Stockton Metropolitan Airport offers free daytime parking with an overnight parking cost of just $10 per night. No car? Lyft now offers pick up and drop-off and the Stockton Airport! Yes, We Fly to Las Vegas, San Diego and Mesa too! Since 2006, Allegiant Airlines has flown out of Stockton to the always popular destination of Las Vegas. The flights to Phoenix-Mesa Airport began soon after, and now the low-cost carrier also flies seasonally to sunny San Diego. You have heard it before, but it's worth repeating, Stockton is centrally located in Northern California. Over 3,000,000 live within a 45 mile radius of Stockton. This makes Stockton Metropolitan Airport an ideal location to start your journey to some of the most popular destinations in the west. Are you a meeting and events planner? Let us help you take advantage of this convenient new way to get attendees to Stockton. Read about our meetings services here and/or reach out to Tim Pasisz for details. You can message us from our homepage 7 days a week for assistance on shopping, dining, and things to do in Stockton. Just click on the messenger icon in the bottom right hand corner of your screen.